Professor Perry Bartlett is the inaugural Director of the Queensland Brain Institute (QBI) and holds the Foundation Chair in Molecular Neuroscience at The University of Queensland. His extraordinary scientific contribution has revolutionized many aspects of modern neuroscience and his visionary leadership has established QBI as one of the world’s leading neuroscience Institutes. Professor Bartlett’s pioneering discoveries include his detection and subsequent characterization of neural stem cells that reside in the adult brain that have the capacity to produce new neurons throughout life. This discovery has transformed neuroscience research, and its importance continues to grow as Professor Bartlett and others show that brain functions, like learning and memory, are in part regulated by the production of new neurons. Drawing on these exciting discoveries, recent results have indicated that stimulation of stem cells in order to produce new neurons may overcome the cognitive loss that may lead to dementia during ageing. 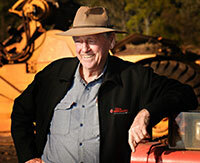 Mr Clive Berghofer is one of Australia’s greatest philanthropists. He has donated $80 million to-date and has publicly pledged to “give away a lot more before I’m finished”. Mr Berghofer currently donates an estimated $90,000 each week to charities, community and sporting groups, and emergency services. His generosity, particularly in the fields of health and emergency services, regularly saves lives, not just in Queensland, but worldwide. Mr Berghofer’s support of crucial health and community services, including drug rehabilitation services and a hospice for the terminally ill has improved the lives of some of Queensland’s most vulnerable citizens. Despite leaving school at the age of 13 and struggling with dyslexia for his whole life, Mr Berghofer became a highly successful property developer and through a lifetime of hard work went on to become one of Australia’s wealthiest individuals. Mr Berghofer is committed to bettering his state and his beloved local community of Toowoomba. 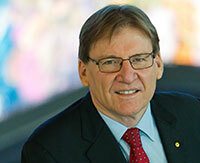 Professor Peter Coaldrake AO is currently the Chair of the Board of the Queensland Performing Arts Trust. He was previously the Vice-Chancellor of Queensland University of Technology (QUT) and a prominent international and national university leader. He spent his early childhood in a remote Aboriginal settlement and is well aware of the opportunities that come with education. Professor Coaldrake has been a driving force in extending those opportunities to all areas across Queensland, and particularly to those from disadvantaged backgrounds. 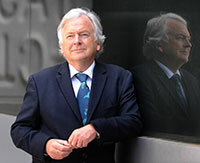 He was Chair of the Board of the university sector’s peak group, Universities Australia, and has played a leading role in national and state policy development on higher education and research that also extended into the international arena. Under Professor Coaldrake’s leadership, QUT now features prominently in global university rankings. He has built extensive local and international networks across government, industry professionals and the wider community and was recognised for his ability to unite and lead people to bring about change. 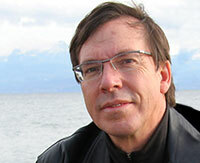 Mr Phil Dickie was born in the bayside area of Brisbane in 1955. He began his career in journalism with the student newspaper at the Australian National University in Canberra while earning a degree in forestry, politics, economics, sociology and linguistics. Soon after returning to Queensland, Mr Dickie commenced work at The Courier-Mail returned to Queensland and in 1986 began an inquiry into Brisbane brothel ownership. This mushroomed into a series of articles that identified police, up to assistant commissioner level, with involvement in corruption and organised crime. Together with an ABC Four Corners program, these articles forced the government to call an inquiry that ran for two years and heard revelations of both police and political corruption. The inquiry changed the policing and political landscape in Queensland and across Australia. For the work leading to the Fitzgerald inquiry Mr Dickie received Australian journalism's highest award, a Gold Walkley, and wrote the bestselling book The Road to Fitzgerald, long a staple of investigative journalism courses around Australia and since digitalised as part of the State historical record by the Queensland State Library. Mr Dickie contributed to the post-Fitzgerald reforms as Special Advisor to the Chair of the Criminal Justice Commission before returning to investigative journalism in 1994. Emeritus Professor Cindy Shannon is a descendent of the Ngugi people from Moreton Bay. As a passionate advocate for Indigenous health and education, Emeritus Professor Shannon has played a key role in the development and implementation of Indigenous health policy both in Queensland and nationally. 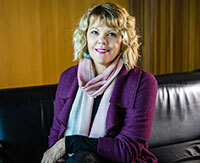 She was the Pro Vice-Chancellor Indigenous Engagement at The University of Queensland, and guided the development and implementation of Australia’s first degree-level program that specifically targeted Aboriginal health workers. She has advised government and non-government groups on health and education issues, and serves on a number of advisory boards, including as Chair of the Queensland Aboriginal and Torres Strait Islander Foundation, and the Queensland Ministerial Advisory Committee on Sexual health. She has also been a key player in creating a focus on urban Aboriginal and Torres Strait Islander populations and contributed to the establishment of the Institute for Urban Indigenous Health. Her true passion lies in enabling people from all backgrounds to achieve their potential. She is known for her extraordinary commitment to mentoring students, employees, and colleagues, and continues her tireless work to enhance conditions for all. Queensland Symphony Orchestra (QSO) is Queensland’s largest performing arts company and the State’s only professional symphony orchestra. In 2017, QSO celebrated its 70th anniversary as the centre of music-making in Queensland, presenting more than 180 live performances each year to more than 1.6million people. 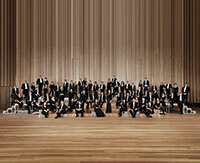 The Orchestra operates from its base in South Bank, Brisbane and employs more than 100 administration staff and musicians, in addition to many guest soloists and artists. QSO’s ability to consistently perform at the highest level has earned it the reputation as one of the country’s leading performing arts companies. QSO regularly supports many of the state’s performing arts companies, including Opera Queensland, Queensland Ballet, Brisbane Festival and Queensland Music Festival. As a champion of music education, each year the Orchestra tours regional Queensland and presents a range of specialised programs including masterclasses, workshops, and professional development for teachers, connecting with more than 30 000 people, from pre-school to university level. 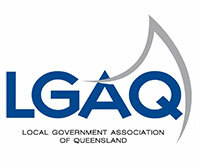 The Local Government Association of Queensland (LGAQ) is the peak body for local government in Queensland and a not-for-profit association setup solely to serve the state’s 77 councils and their individual needs. In recent times LGAQ were at the forefront of disaster recovery as a result of Tropical Cyclone Debbie. The LGAQ coordinated and supported local councils as they prepared for, were impacted by, and are now recovering from Debbie. LGAQ have been advising, supporting and representing local councils since 1896, allowing them to improve their operations and strengthen relationships with their communities. LGAQ are being recognised as an honorary recipient of the 2017 Queensland Greats Awards for their tireless contribution to Queensland. The late Eddie Koiki Mabo was born on Mer (Murray) Island in 1936. Mr Mabo was exiled from the Island when he was 16 years old and worked across Northern Queensland and the Torres Strait before settling in Townsville with his young family in 1962. Following his settlement in Townsville, Mr Mabo was elected president of Yumba Meta and established Australia's first Black Community School. In 1982, Mr Mabo and four other Islanders initiated legal action claiming customary ownership of their land on Murray Island, but their claim to land was rejected. Rather than appeal, Mr Mabo decided to proceed with the hearings before a full bench of the High Court. Before the Court's decision to overturn the doctrine of terra nullius (land belonging to no-one) was delivered in 1992, Mr Mabo had fallen ill and passed away. On the night of his burial, islanders performed the sacred Malo dance in his honour.